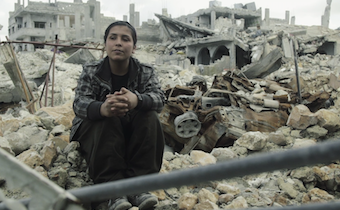 The movie observes the Kobanê war’s influence on people and nature, and also the Kobanian guerrilla women’s rebellion against the approach, which has for years ignored women’s historical values in a male dominated society. On 31 December 2003, Lucie Tremblay decided to write to the man who abused her between ages eight and twelve. She is determined to personally deliver the letter. She films her journey to gain closure for the trauma that has haunted her whole life. 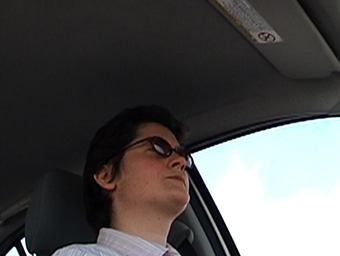 When her son finds the footage well over a decade later, he decides to turn it into a film: A Woman and her Car. An intimate homage to the courage of an exceptional woman who decided to stand up for herself and a savage condemnation of the bastards who abuse the innocence of others and think they can get away with it. One of the most horrifying Isis operations was the physical and cultural genocide of the Yezidi Kurds in Iraq. After conquering the Shingal region west of Mossul the terrorist militia began to systematically kill the male population while thousands of children, girls and women were kidnapped, enslaved, forced into marriage or raped. 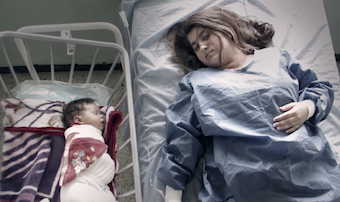 A157 is a filmmaker look at three pregnant girls recounting their stories of war, violence and sexist conquest in a land where people have no more dreams. 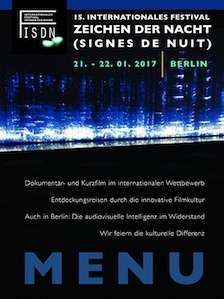 An international jury overview the sections of short films coming from all over the world. We prefer documentaries which succeed in representing the complexity of reality and discover in a new way its sensible and perturbing aspects on the same time accentuating the ambivalent and enigmatic status of reality in avoiding sterotypes and simplifing conclusions.